My eyes are tear-filled. Tears of relief and sorrow. Tears of elation and of grief not my own. 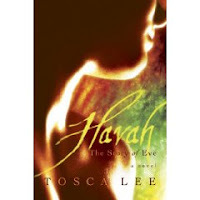 I have just finished reading Havah The story of Eve by Tosca Lee. I thought to give myself time to properly process all I have read, but was afraid to not try to somehow to give voice to my emotions. I am afraid that I won't properly express to you the great empathy, sorrow and joy that I am feeling if I do not immediately put it all into words. This beautifully written book has affected me deeply. Profoundly. As I knew it would the moment I heard of it. You can read the rest of my review by clicking here. Tosca Lee is the author of the critically acclaimed Demon: A Memoir (2007), a ForeWord Magazine Book of the Year Silver Award winner, American Christian Fiction Writers Book of the Year nominee, and Christy award finalist. Her eagerly-awaited second novel, Havah: The Story of Eve, released October 2008 to high praise, including a starred review from Publishers Weekly. A sought-after speaker and first runner-up to Mrs. United States 1998, Tosca works as a Senior Consultant for the Gallup Organization. She received her B.A. in English and International Relations from Smith College in Northampton, Massachusetts. She also studied at Oxford University. In her spare time, Tosca enjoys travel, cooking, history and theology. She currently resides in Nebraska. And I know that God made the heart the most fragile and resilient of organs, that a lifetime of joy and pain might be encased in one mortal chamber. 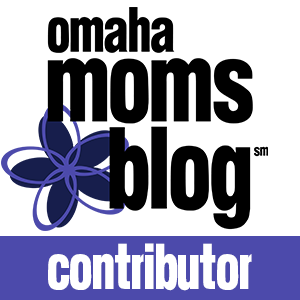 I still recall my first moment of consciousness—an awareness I’ve never seen in the eyes of any of my own children at birth: the sheer ignorance and genius of consciousness, when we know nothing and accept everything. 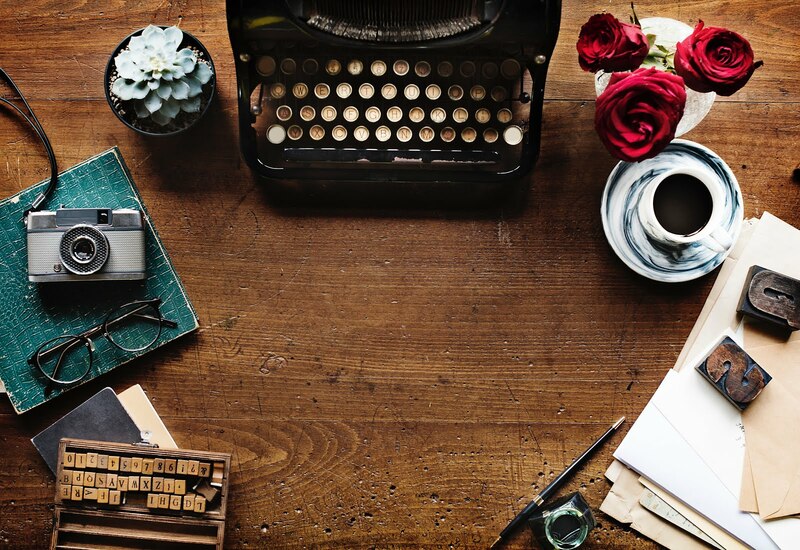 Of course, the memory of that waking moment is fainter now, like the smell of the soil of that garden, like the leaves of the fig tree in Eden after dawn—dew and leaf green. It fades with that sense of something once tasted on the tip of the tongue, savored now in memory, replaced by the taste of something similar but never quite the same. His breath a lost sough, the scent of earth and leaf mold that was his sweaty skin has faded too quickly. So like an Eden dawn—dew on fig leaves. His eyes were blue, my Adam’s. How I celebrated that color, shrouded now in shriveled eyelids—he who was never intended to have even a wrinkle! But even as I bend to smooth his cheek, my hair has become a white waterfall upon his Eden—flesh and loins that gave life to so many. I think for a moment that I hear the One and that he is weeping. It is the first time I have heard him in so long, and my heart cries out: He is dead! My father, my brother, my love! I envy the earth that envelopes him. I envy the dust that comes of him and my children who sow and eat of it. This language of Adam’s—the word that meant merely “man” before it was his name—given him by God himself, is now mine. And this is my love song. I will craft these words into the likeness of the man before I, too, return to the earth of Adam’s bosom. My story has been told in only the barest of terms. It is time you heard it all. It is my testament to the strength of the heart, which has such capacity for joy, such space for sorrow, like a vessel that fills and fills without bursting. In the beginning, there was God . . . But for me, there was Adam. From here, I felt the thrum of the sap in the stem; the pulsing veins of the vine; the beat of my heart in euphony with hundreds more around me; the movement of the earth a thousand miles beneath. A rustle, a groan practically in my ear. I twitched at a stirring against my hip. A moment later, a touch drifted across a belly I did not yet know I owned, soft as a leaf skittering along the ground. A face obscured my vision. I screamed. Not with fear—I was no acquaintance of fear—nor with startlement, because I had been aware of the presence already, but because it was the only statement that came to lips as artless as mine. The face disappeared and returned, blinking into my own, the blue above captured in twin pools . Then, like a gush of water from a rock, gladness thrilled my heart. But its source was not me. I tried to mimic his sound; it came out as a squawk and then a panting laugh. Overhead, a lark chattered an extravagant address. I squeaked a shrill reply. The face lowered to mine, and the man’s arms wrapped, womb-tight, around me. “Flesh of my flesh,” he whispered, hot against my ear. His fingers drifted from my hair to my body, roaming like the goat on the hills of the Sacred Mount. I sighed, expelling the last remnants of that first air from my lungs—the last of the breath in them not drawn by me alone. He was high-cheeked, this adam, his lower lip dipping down like a folded leaf that drips sweet water to thirsty mouths. His brow was a hawk, soaring above the high cliffs, his eyes blue lusters beneath the fan of his lashes. But it was his mouth that I always came back to, where my eyes liked best to fasten after taking in the shock of those eyes. Shadow ran along his jaw, obsidian dust clinging to the curve of it, drawing my eye to the plush flesh of his lips, again, again, again. He touched my face and traced my mouth. I bit his finger. He gathered my hands and studied them, turning them over and back. He smelled my hair and lingered at my breasts and gazed curiously at the rest of me. When he was finished, he began all over again, tasting my cheek and the salt of my neck, tracing the instep of my foot with a fingertip. We raced across the valley floor, and my new world blurred around me: hyssop and poppy, anemone, narcissus, and lily. Roses grew on the foothills amidst the caper and myrtle. A blur beside me: the long-bodied great cat. I slowed, distracted by her fluidity, the smooth curve of her head as she tilted it to my outstretched hand. I fell to the ground, twining my arms around her, fingers sliding along her pelt. Her tongue was rough—unlike the adam’s—and she rumbled as she rolled against me. The adam called again, wordlessly: longing and exuberance. I got up and began to run, the lioness at my heels. I was fast—nearly as fast as she. Exhilaration rose from my lungs in quick pants—in laughter. Then, with a burst, she was beyond me. She was gone by the time the adam caught me up in his arms. His hands stroked my back, his lips, my shoulder. I marveled at his skin—how smooth, how very warm it was. At the river he showed me how he cupped his hands to drink, and then cupped them again for me. I lowered my head and drank as a carp peered baldy from the shallows up at me. We entered the water. I gasped as it tickled the backs of my knees and hot hairs under my arms, swirling about my waist as though around a staunch rock as our toes skimmed a multitude of pebbles. I wrapped my arm around his shoulders. “Water,” I said, understanding in the moment I spoke it the element in all its forms—from the lake fed by the river to the high springs that flow from the abyss of the Mount. I felt the pull of it as though it had a gravity all its own—as though it could sweep me out to the cold depths of the lake and lull me by the tides of the moon. From the river I could see the high walls of our cradle: the great southern Mount rising to heaven, and to the north, the foothills that became the long spine of a range that arched toward the great lake to the west. But we were not alone. I could see them, after a time, even as we left the river and lay upon its banks. I saw them in sidelong glances when I looked at something else: a sunspot caught in the eye, a ripple in the air, a shock of light where there should be only shadow. And so I knew there were other beings, too. That evening we lay in a bower of hyssop and rushes—a bower, I realized, that he must have made it on a day before this one. From within that nothingness there came a voice that was not a voice, that was neither sound nor word but volition and command and genesis. And from the voice, a word that was no word but the language of power and genesis and fruition. What is a Wild Card Tour? I went to the site but I wasn't sure what it was?